The Fiorillo Townhouses are located in the Lincoln Park neighborhood. There are four buildings on the property, which contain two-bedroom units. All units are cable and Verizon Fios ready. Each unit has a laundry hook-up, and onsite parking is available. 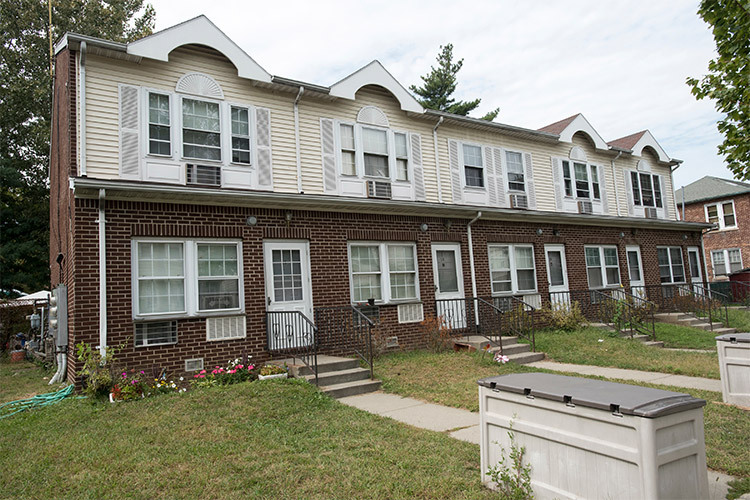 The Fiorillo Townhouses are situated in a residential (single family) neighborhood that is situated across from the Yonkers Raceway and Casino complex. The Cross County Shopping Center, an upscale outdoor mall with a multiplex theater, is also nearby. The property is minutes from New York City, and is easily accessible to public transportation and highways. Restaurants, shopping and the Tibbetts Brook Park are nearby. The site also offers a free monthly food pantry and supportive services referrals are available through a collaboration with The Family Service Society for the City of Yonkers.